If you love gardening, you have probably dreamed of tending your fruits, herbs, and vegetables year-round, or at least getting an early start. Starting seedlings can be difficult when temperatures swing in the summer and the weather is anything but predictable. 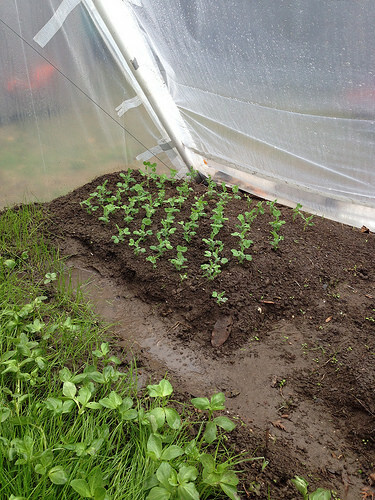 Making your own greenhouse is an easy solution and surprisingly affordable. 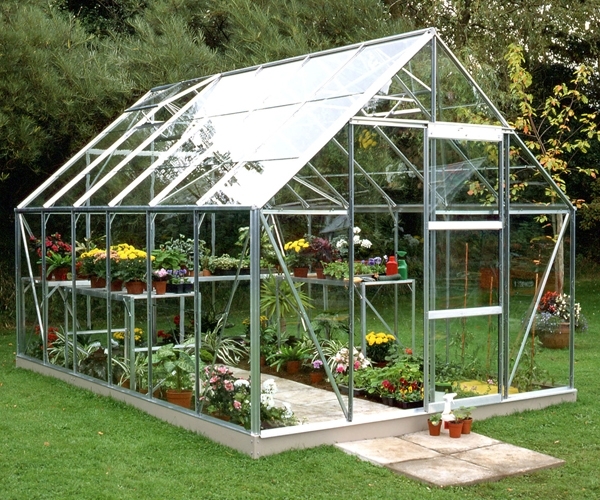 You can use salvaged materials and create a DIY greenhouse that is the right size for you and your gardening needs. Add solar energy and you can make an efficient greenhouse you can use year round. Solar power costs less than electricity, and with traditional utility costs on the rise, you could save even more than you think by using solar energy. You must answer one essential question: What is solar energy? Understanding how solar energy works helps you visualize the way it benefits your greenhouse. The problem with most greenhouses is that they only work when the sun is up. Adding solar energy lets you harness the power from the sun and save it so that the plants in your greenhouse can enjoy heat and light all through the night. Solar lights convert sunlight into electricity. That energy is then stored in the panels and used to power your plant lights after sunset. You’ll need a solar panel to use solar energy. Panels contain numerous photovoltaic (PV) cells that convert the light from the sun into direct current electricity. This DC electricity powers the lights that keep your plants warm. Since it’s stored rather than used during the day, it powers the lights all night long. This is far more energy efficient than the standard bulbs used in traditional greenhouses. Rather than taking electrical current from the utility grid, you use stored sunlight energy to maintain your plants. Next, you will need to gather wall materials. The materials you use will depend on how large your greenhouse is and whether you want to make a permanent structure or you just need a temporary building to start your seedlings. At its most simple, your greenhouse wall material could be a two-liter bottle in which you place the garden light, but for larger DIY greenhouses, you will need heavy plastic sheeting or you can repurpose old glass windows. You will also need to consider flooring. You can use raw dirt, a concrete slab, or rows of wood planks — each have their advantages — but you need to think about thermal mass. Thermal mass is the ability for a material to store or generate heat. Concrete stores heat very well, but so does water. If you choose a plain dirt floor or wood planks, you will need to add sealed containers of water or large rocks. Adding reflective surfaces, like mirrors or even aluminum foil, will help you direct additional heat where you need it within the greenhouse, but you can also place reflective surfaces outside your greenhouse to reflect additional sunlight on to the structure. Adding white gravel outside the greenhouse will also help. In addition to attracting heat, you must also retain it. The larger your greenhouse, the more insulation it requires. Insulation restricts air flow, as circulating air inhibits heat retention. You can negate some of the heat loss by layering wall materials, as well. For instance, you double your insulation when you choose double pane windows over single pane windows. For maximum greenhouse efficiency, mount a heat-saver fan on the roof on the greenhouse to push hot air down and maintain an even temperature throughout the greenhouse. Also, be aware that when you increase the heat in the space too much, it could hurt certain plants. You may need to open a window occasionally. Use soil analyzers, light meters, and humidity dials to monitor the conditions in your greenhouse. Making your own greenhouse is easier than you might think. It just takes a solar source, insulating walls, appropriate flooring, reflective surfaces, and efficient add-ons that will help you garden all year or just get a start on the growing season.